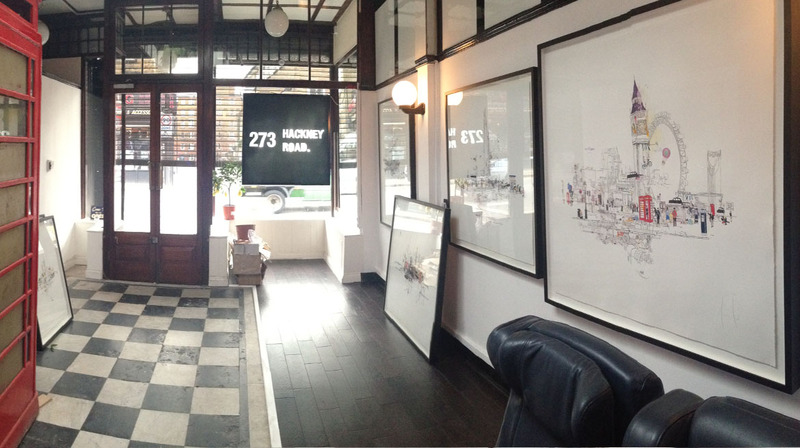 Laura Jordan is the creative talent behind 273 Hackney Road. She draws her inspiration from the World’s great cities. She is a highly-skilled draughtsman, who works in pencil, pen, watercolour, collage and print to create wonderfully rich large-scale images of Metropolitan existence – in all its vitality, humour, horror, pathos, wonder, and bathos. With an acerbic wit and visual acuity that place her in the great satirical tradition of Hogarth and Rowlandson, Laura Jordan maps the political, social and architectural landscape of contemporary London, New York, Hong Kong and Rio de Janeiro. Through exhibitions in London, New York, Paris and Singapore, Laura Jordan has built up an international reputation. 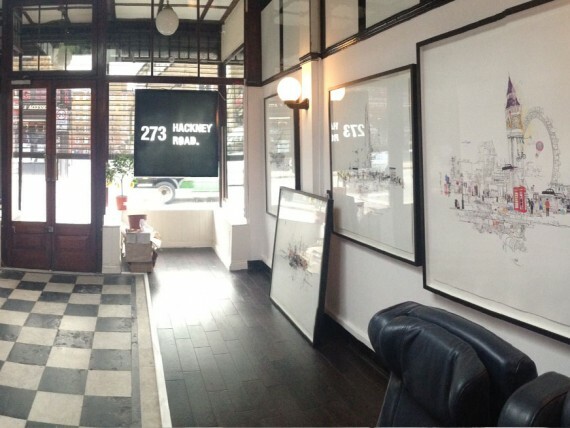 The gallery is a 7 minute walk from Hoxton overground station. Alternatively Shoreditch High Street and Cambridge Heath stations are approximately 15 minutes walk from the gallery. Buses: The 55, 26, 48 stop close to the gallery on Hackney Road. Please contact Transport for London for detailed travel advice tfl.gov.uk.